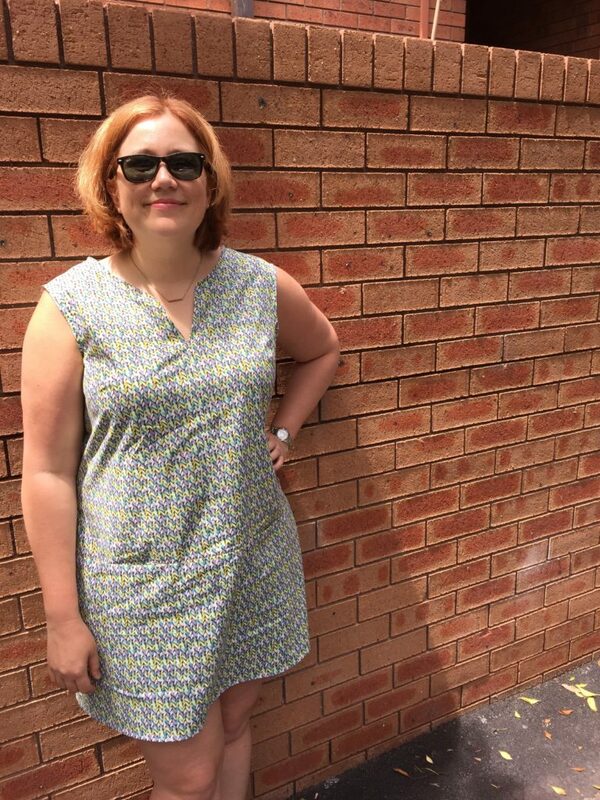 As you may have picked up on yesterday, I made yet another Colette Laurel dress for Frocktober! I used the same mods as the Big Data dress: sleeveless, notched neckline, and pockets. On this one, I moved the pockets outwards slightly as they felt too close together. I also cut the back in one piece rather than having a waist seam. The fabric is called Breeze by Rosemarie Lavin for Windham Fabrics. It’s actually a quilting cotton that I picked up at Morris & Sons earlier in the year. I bought it on a lark, mostly because it’s printed to look like knitting! I thought I’d make a simple blouse out of it, so I only bought 2m of fabric. Unfortunately that was barely enough to make this dress, so I’ll have to wear shorts under it for modesty. Still – cute dress for a hot day!